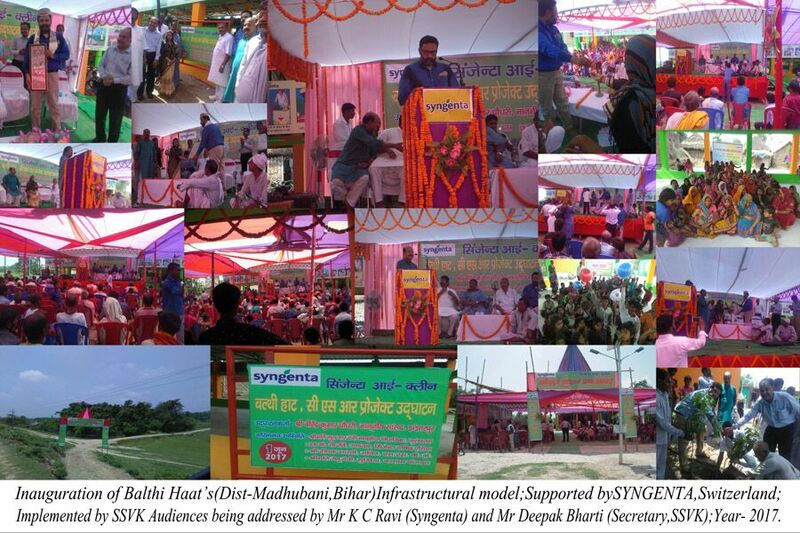 The collaboration of Syngenta with SSVK is as part of its Syngenta I-CLEAN Project which is primarily focused on inculcating Hygiene, Sanitation, Cleanliness, Education, Awareness and New Habits, especially in rural and remote areas, to enable the rural populace to lead dignified, hygienic and healthy lives and is inspired by Prime Minister Shri Narendra Modi's 'Swachh Bharat Abhiyan' – a campaign to support cleanliness and building toilets to stop open defecation. Through this project Syngenta India has gone beyond merely constructing toilets under the “Clean India Mission” and has taken upon itself the responsibility to upgrade rural markets (haats) and rural livelihoods in remote areas. 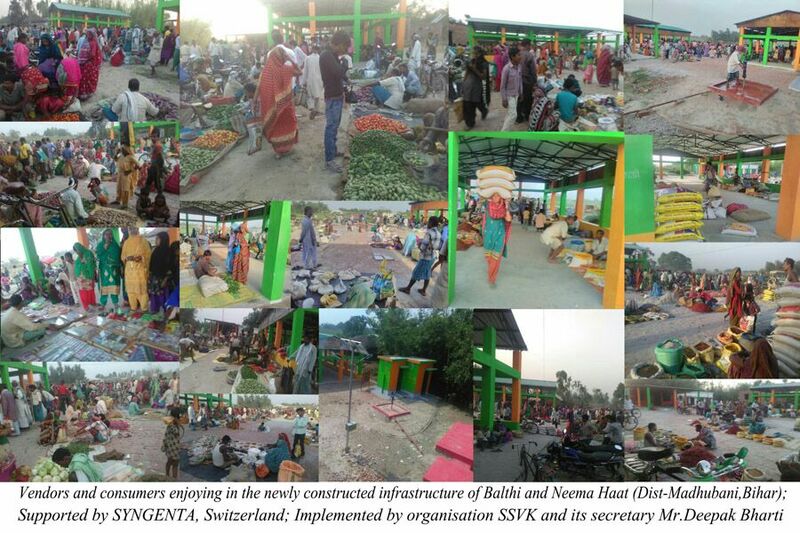 Entitled “Strengthening Rural Haats as Decentralised Development Hubs”, this collaboration with Syngenta entails infrastructural up gradation of rural markets (haats) through provision of raised platforms and sheds; promotion of environmental hygiene and safe drinking water and sanitation practices through a mix of hardware and software interventions; creating environmental awareness and sensitivity through extension of green cover (undertaking plantations) and promotion of renewable energy like solar lights which reduce the carbon footprints and at the same time offer a decentralized and cost effective option for addressing the rural energy needs; enhancement of rural livelihoods by making these markets as hubs for information and knowledge dissemination on appropriate agricultural practices and innovative and cost effective technologies customized to local needs, offering the local populace more competitive buying and selling options through attracting rural marketers to this burgeoning consumer segment, with haats as an intervention point, offering them creative solutions to a range of challenges besetting rural marketing from Physical distribution, Channel management, Promotion and communication, Poor infrastructure, Uneconomical market size, Diverse socio-economic Consumer profile etc. ; and last but not the least the opportunities inhering in utilizing the upgraded but partially utilized infrastructure for addressing the other unmet developmental needs of the local population. The project components include construction of all-weather raised and covered sheds for vendors, land fill/land leveling where required, toilets (separate facilities for women and men), drinking water facility through installation of hand pumps and provision of concrete platforms and drainage facility, health education with special emphasis on safe drinking water and personal, social and environmental hygiene, laying out of drains, brick soling in the moving space, garbage pits/corner, fencing of the haat area, undertaking plantations on haat land and installation of Solar Lamps. 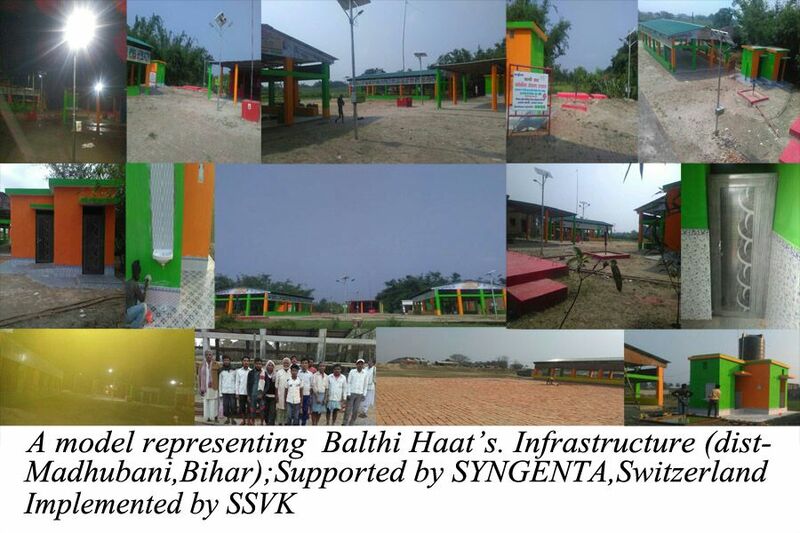 Scheduled to eventually cover 20 rural haats all over Bihar, two have already come up and the work on the third one is in an advanced stage. 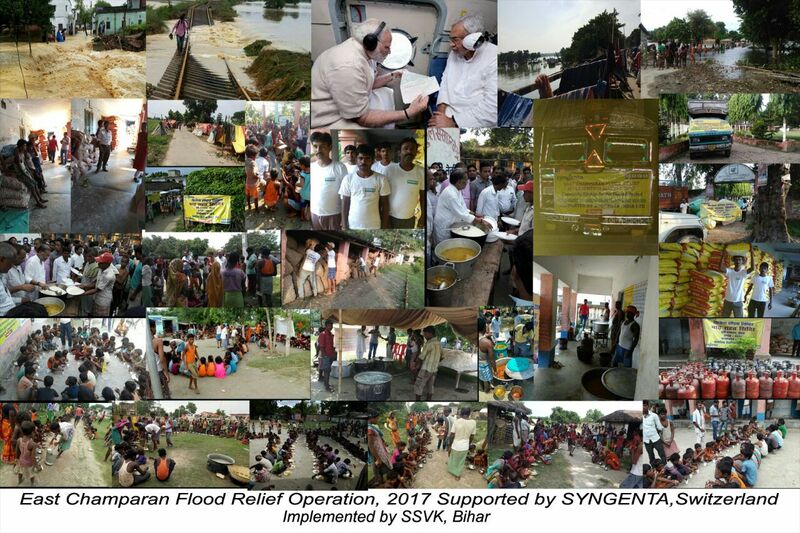 Apart from infrastructure development of rural haats, SSVK, at the behest and with the support of Syngenta, carried out a short term flood relief intervention in 17 villages spread over 4 blocks of East Champaran District of Bihar in the wake of floods in 2017. The intervention lasted from August 19, 2017 to August 31, 2017. The overall goal of there lief intervention was to enable the poor and marginal families to break out of the current crisis resulting from the floods while the immediate objective was to extend relief support to the flood affected during the crucial period of non availability of food, and water by ensuring availability of both. Though the needs were manifold, the proposed intervention, in light of the scale of tragedy and the constraints of resource availability, had to be prioritized towards addressing the food security and safe drinking water needs constituting the basics of survival. The intervention was operationalised through servicing the flood affected by organising community kitchens which provided for two wholesome meals a day in the form of cooked food comprising rice, pulse and a vegetable. Community kitchens were preferred over dry ration support as the latter left the beneficiaries, under the given conditions, with the difficult, if not impossible, choice of arranging for cooking. Moreover, it was felt that engaging the victims in various tasks associated with running the community kitchens will maintain a modicum of community conviviality which would also help the victims in overcoming their enormous grief. Children were provided with milk and biscuits. Additionally some provisions were made for ensuring safe drinking water. As part of this intervention flood affected people were provided with 2 cooked meals a day and children were provided with milk and biscuits over lakhs of people. Additionally 1 jerry can each was provided to 2000 families for storage of safe drinking water at the household level and 20 plastic drums were provided for storing safe drinking water on camp as a collective facility for the flood affected to access.